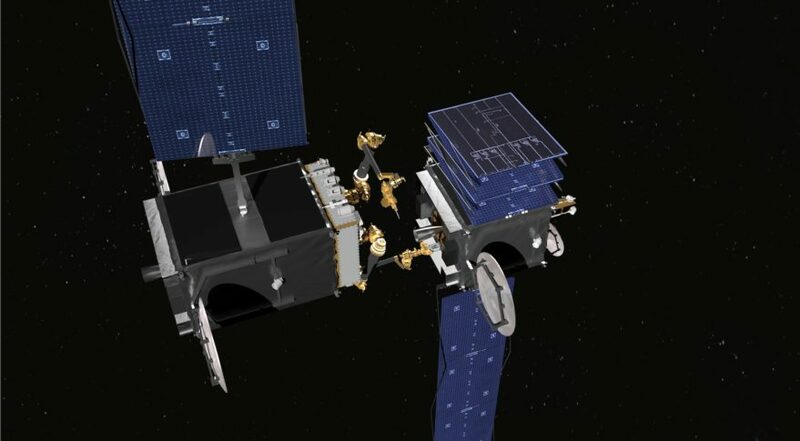 DARPA is continuing to work on satellite servicing technology under the RSGS program as it looks at options to demonstrate the system in space. Credit: DARPA. Maxar’s Space Systems Loral business unit had been working with DARPA on the Robotic Servicing of Geosynchronous Satellites (RSGS) program under a public-private partnership finalized in 2017. Under that agreement, DARPA, working with the Naval Research Laboratory, would provide the satellite servicing payload, which Maxar would integrate on one of its satellite buses. After an in-space demonstration, Maxar would then be free to use the RSGS technology for commercial applications.